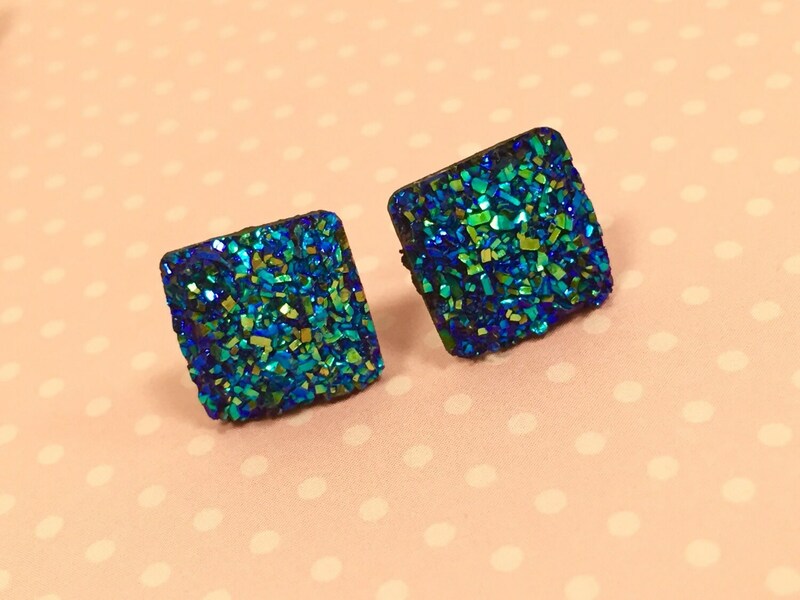 There aren't enough words to capture just how much I love love love faux druzy. 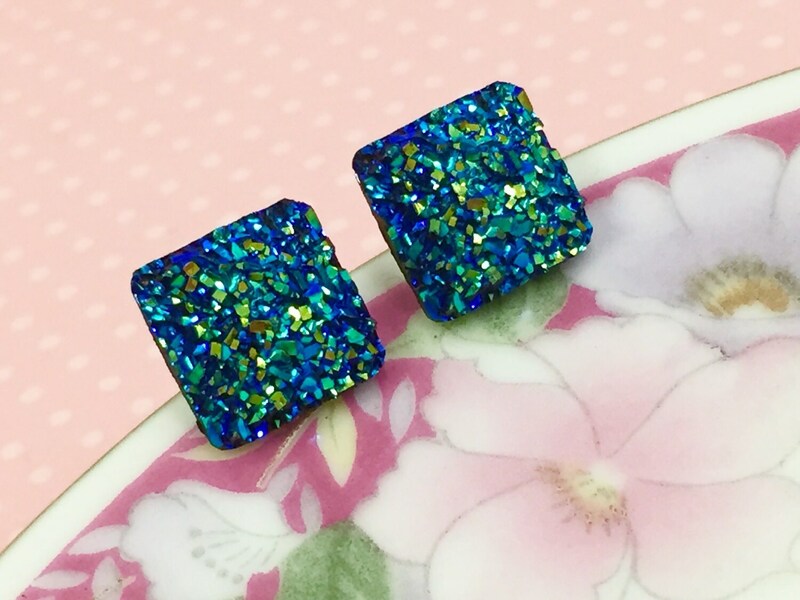 It's so sparkly and iridescent and shiny and..........just plain lovely! 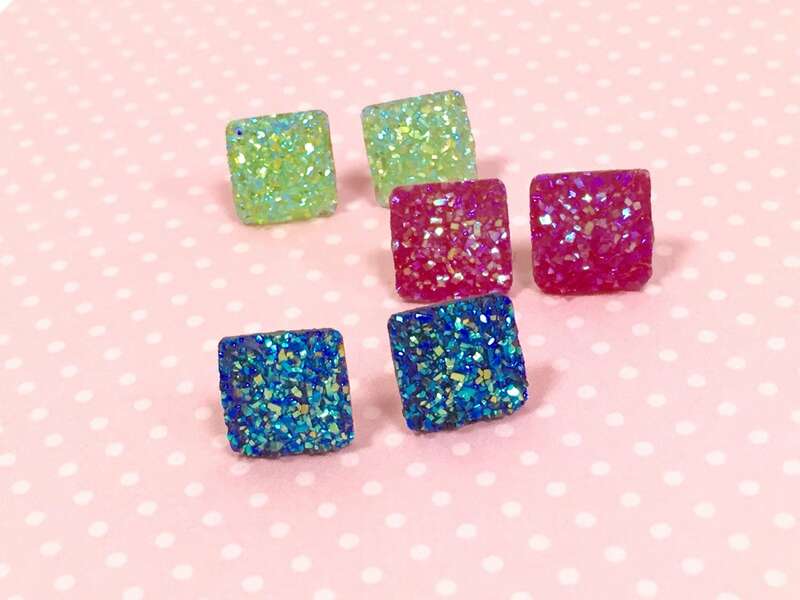 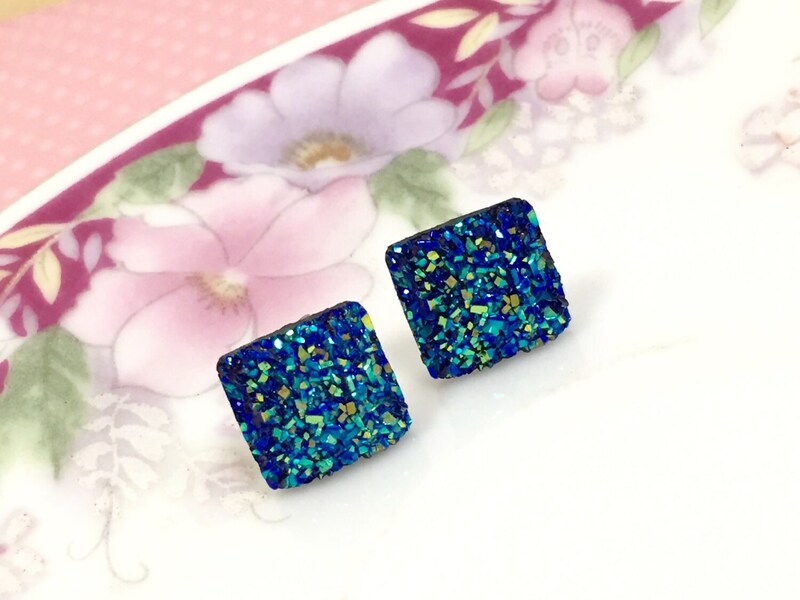 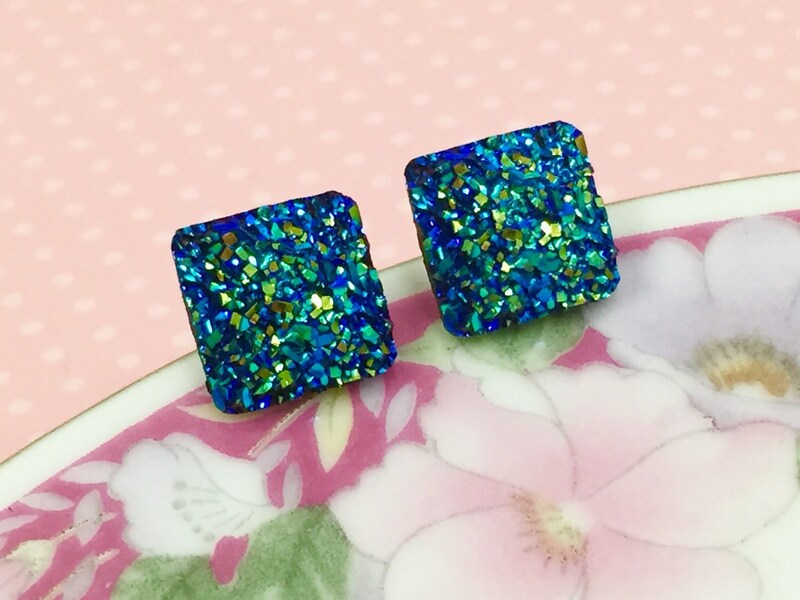 These particular druzy studs shimmer in a range of blues to a hint of gold depending upon how the light is hitting them.